More and more people are choosing to try acupuncture for fibromyalgia pain management. Fibromyalgia isn’t the type of condition that allows you to focus exclusively on the long term. Once diagnosed, we suggest using coping tools (which will become your ongoing toolbox) and getting in the habit of using less invasive tools like acupuncture, which will help increase well-being while also reducing levels of pain and symptoms. The point is to avoid creating uncomfortable and even dangerous side effects. This is why it’s so important to find methods of short-term pain relief that work for your body. Your long-term plan may leave you vulnerable to physical pain that leads to emotional and mental problems, but you can fight back with alternative treatments like acupuncture. Remember this is not about cover-ups here. We do not believe in just “covering” the pain and symptoms. We believe in getting to the root causes (often many) and taking the extra burden off the vulnerable fibro body wherever possible. Cover-ups actually prevent effective treatment and we want to avoid that. 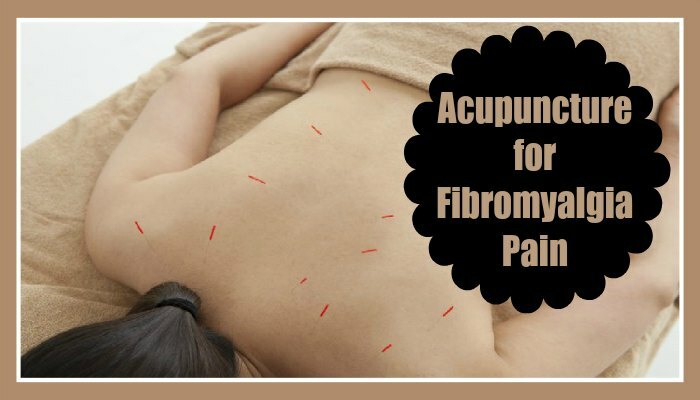 What is Acupuncture for Fibromyalgia Pain? Acupuncture is a unique treatment that involves the insertion of thin needles into specific points on the body. The practice was originated by practitioners of ancient Chinese medicine but has grown in popularity throughout the modern world. It was originally believed that energy flows through the body and must remain balanced and in harmony if a person is to enjoy great health. Inserting needles into specific regions of the body was believed to release negative energy, restoring balance. Modern research has proven that consistent acupuncture sessions can help with pain control, and many medical professionals are now recommending it to patients struggling to manage pain, nausea, and other symptoms through conventional means. While most people don’t know exactly why it works, there’s a growing population of believers who swear that it has worked for them. In most cases, the traditional methods of acupuncture are used, right down to the insertion of the needles in select areas of the body. Yet, the modern world is starting to suggest alternative methods that may work better for some patients. For instance, electroacupuncture applies an electrical stimulus to the needles. One high-quality review included nine trials, with 395 patients, and demonstrated that acupuncture, added to standard therapy, resulted in a 30% improvement in pain.70 Electric acupuncture was also associated with a 22% improvement in pain and an 11% improvement in fatigue. Accupressure is another option that mixes massage and acupuncture for fibromyalgia pain. Pressure is applied to each selected point with fingers rather than needles. The reason that I personally like accupressure over acupuncture for fibromyalgia is because we know that “light compression” on the body helps to increase blood flow and circulation. So imagine the combination of increased blood flow, circulation, and a “release” of stagnant energy and toxins. You see, this can be a really good combination for anyone living with chronic pain. Now let me say one thing here. As much as we never like to say “no pain, no gain” , we have to understand that with any manipulation, often comes a period of discomfort. If your body has created a “normal” that is not so good for you, then creating a “new normal” will take some time, but it will be worth it long term. Knowing that you are in control is key. If you are in control of some initial discomfort of trying something new, it is easier to handle, and you won't be running for the pain meds. We may actually create a sense of accomplishment, and that is really what our entire protocol is about. You know how it feels when you stumble across a tool that helps to reduce pain and symptoms on any level? It can feel amazing. We don't take our health and well-being for granted, so when something works to help us feel a little more “normal”, well, it feels great!! It is one of the most empowering things we can experience. And then we build on that. Acupuncture is not just for the widespread pain of fibromyalgia. It is also good for some of the other symptoms that can be challenging. One of those is a sluggish bowel, or constipation. Working as a colon therapist for many years, I am very invested in clients utilizing the least invasive means to relieve their constipation. If we have exhausted all efforts with diet and movement, then I recommend either gentle massage therapy, acupuncture and/or acupressure. Of course you would want to be sure that there are not more serious bowel conditions that are causing the constipation, but in general, acupuncture would be a safe adjunct therapy. This can also be utilized for irritable bowel syndrome. While you may experience some reduction in pain after your first session of acupuncture, it typically takes repeat treatments to feel the full impact. I personally found acupuncture helpful for my lower back pain about 10 years ago. After a few treatments during a three week period, I decided to then move on to therapeutic exercise to complement the acupuncture. As we often say, it is really about creating a multi-faceted treatment plan, which will also help it to be more cost effective long term. Also know that if you have allodynia, which increases the sensitivity of the skin and the nerve endings, then you may need to proceed more slowly. Ask your practitioner if they have worked with patients who have fibromyalgia and allodynia. That is again where it greatly depends on the practitioner and their experience. It can still be done safely and effectively. With the widespread pain and fatigue that occurs with fibromyalgia and chronic fatigue syndrome, it is important for the practitioner to focus on these two areas initially. It is essential to be very assertive with your practitioner. Point out your most painful areas. Relax through your sessions and avoid being pressured into multiple sessions right up front. The reason I say this is that any additional pressure on a fibro patient will only create stress. Ask yourself questions like “Am I comfortable with my practitioner?”; “Am I willing to use this as one PART of a treatment plan?”, knowing that there is no silver bullet. Your goal is to create a larger treatment plan that includes long and short-term pain remedies. You may feel hopeless when you think about the long term due to the lack of a cure, but acupuncture could make a significant difference in the short term. As you string together more pain-free days, you may start to see your long term treatment plan with more optimism. Acupuncture may not be for everyone, but at least worth considering.